Here we've set out the main points of interest and concern which parents have when their child starts school. ​We hope you'll find it useful and that it helps both you and your child to settle into school life here in Scoil an Linbh Íosa. We all hope that your child’s first experience of our school will be positive and that it lays a good foundation for many happy years ahead. A detailed information pack is sent to all new parents when the child is enrolled and this information can be found here, as well as being free to download here. The enrolment forms for all new students who wish to attend Scoil an Linbh Íosa for the upcoming new school year ('19/'20) are now available to download here. Copies of these forms are also available in paper form from the administration office. 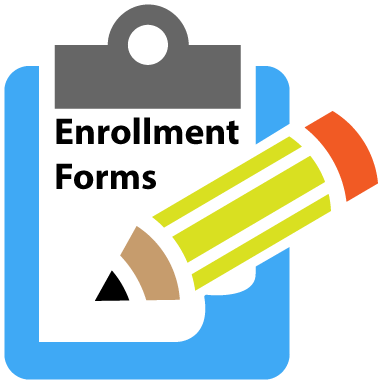 We would ask all parents to hand these completed forms back to the administration office on or prior to the 14th of February to facilitate the prompt processing of all forms. ​Doors open each day at 9.05am while school starts at 9.20am. Pupils are supervised at all times. Lunch break: 12.45- 1.15 pm Juniors eat for first 15 minutes and play for other 15 mins. Seniors play for first 15 mins and eat for other 15 mins. Hometime: Junior and Senior Infants finish at 2 pm. 1st- 6th classes finish at 3 pm. There is a rota for the use of the Yard and AstroTurf at break times. Junior and Senior Infants: Navy tracksuit with school crest (available from office), light blue polo t-shirt, velcro runners. 1st- 6th class: Navy jumper/cardigan with school crest (available from office), navy trousers/skirt, tie (available from office), light blue shirt, dark shoes. School tracksuit and runners to be worn on P.E. days only. ​Our uniform policy can be found here. 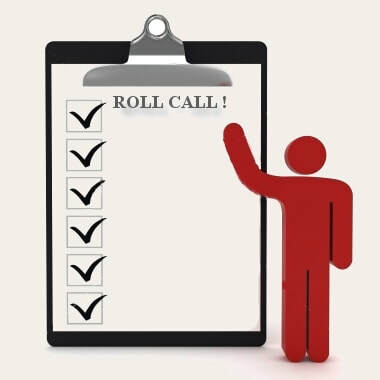 Roll call is at 10am each morning. 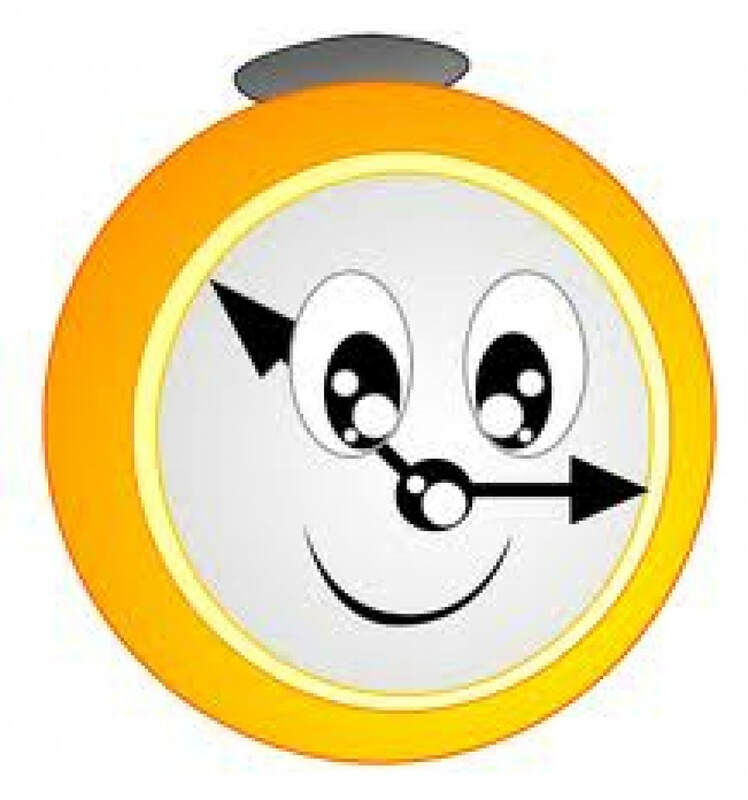 If your child is going to be late for any reason, please let the class teacher know in advance or leave a message with the admin office where possible (045 868660). ​It's important that children are punctual in the mornings and collected on time. 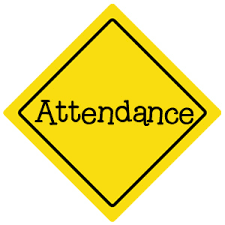 The school's attendance policy can be viewed here. Regular attendance is crucial to your child’s progress. Understandably children do get sick from time to time. In accordance to the Welfare Educational Welfare Act, the school has a duty to report any child who has missed 20 days or more in one academic year. The Principal has no discretion in this. ​Parents/ Guardians are obliged by law to provide a written explanation for their child’s absence. It is important not to send a sick or infectious child to school as there are vulnerable children and adults in the school who are at risk from exposure. ​When the Class Teacher or Principal feels that a child is not well enough to be in school, either as a result of becoming sick or following an incident the parents/guardians will be contacted immediately. It is school policy to report all head bangs. Parent Teacher Meetings occur once a year. The meetings for children in 1st to 6th are held in November. 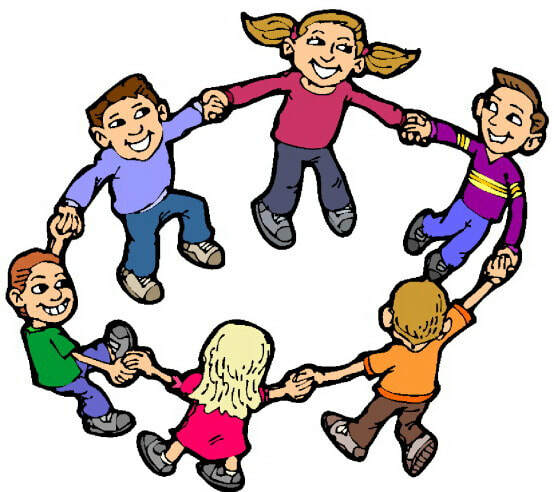 The meetings for children in Junior and Senior infants are held in February. However, if you wish to meet with a Class Teacher, an appointment can be made through the office, or by written request. Head lice are frequent visitors in all schools so please check your child’s hair regularly. If there is an outbreak of head lice in a classroom, the Teacher will distribute a note to all pupils requesting their head be checked and/or treated. Please inform the school about any medical conditions your child has. Administration of Medication Policy can be found here. We operate a Healthy Eating Policy. See here for more information. Friday is treat day. Children are allowed to bring one small treat with them on these days. the health and safety of children who have allergies. In adherence with our Healthy Eating Policy please do not send party food to school. We would also ask you not to issue party invitations on the school grounds. This is to avoid a child feeling ‘left out’. Activities organised in school involve all children being treated fairly and issuing selective invitations is contrary to this. ​This also applies to Christmas cards, gifts, holiday souvenirs and Holy Communion or Confirmation cards and presents. Parents/Guardians will be issued with a school calendar detailing school closures and school events. Occasionally unforeseen events occur; updates will be issued in newsletters and on the school website. Children are encouraged to walk to school, especially on W.O.W (Walk on Wednesday) and W.O.F (Walk on Friday). ​Please supply your child with a lunch box and avoid wrappers where possible. If children have wrappers they will be asked to take them home. Compost bins are provided for fruit waste. 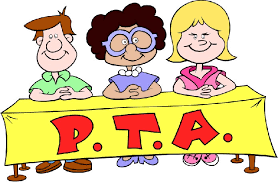 ​The PTA is a significant invaluable part of our school community. They meet in the school on the first Wednesday of the month. This is a great way to get involved in your child’s school, introduce new ideas, make friends and help develop Scoil an Linbh Íosa. See here for more detailed information on the PTA. 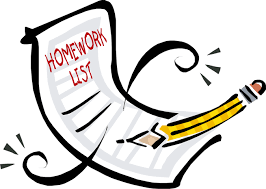 Children in every class are given homework on Monday to Thursday, which must be completed according to the Class Teacher’s instructions. It is important to maintain a good homework routine at home: regular time and space with no distractions. The school's homework policy can be found here. The PTA runs a Savings Club. 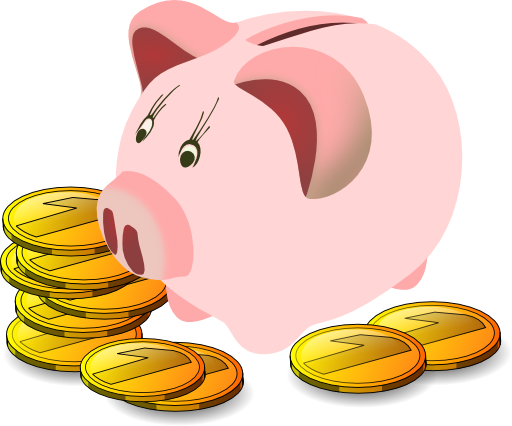 Once a month, on the first Friday after the Children’s Allowance day, members of the PTA come into the school in the morning and parents can open a savings account. Many families find this very helpful when it comes to buying the school books for the new school year. The cost of heating, lighting, cleaning, insuring and securing a school of this size far exceeds the capitation grant provided by the Department of Education and Science annually. ​In order to help meet this shortfall the Board of Management are forced to appeal to the generosity of our Parents in the form of fund raising activities and voluntary contributions. Your support in this matter is greatly appreciated. Class booklists are published in Term 3 each year. These include the text books required for your child’s new class and the cost of Art Materials, photocopying and supplementary resources. 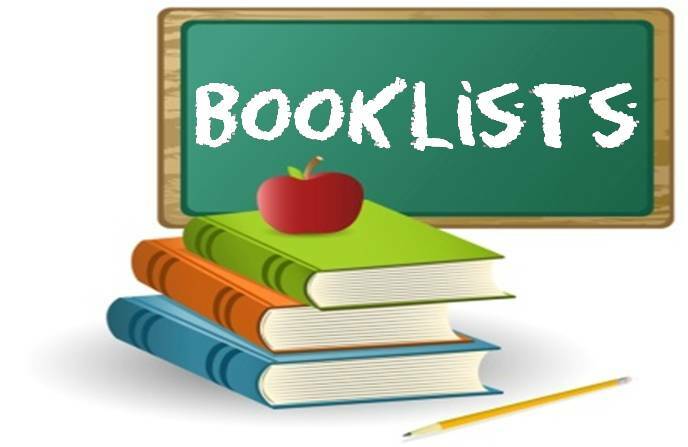 Children with particular educational needs may receive an individual booklist. 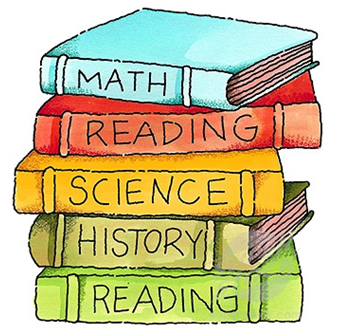 ​The school appreciates that these requisites are expensive and it makes every effort to keep the cost of the booklist to a minimum. Scoil an Linbh Íosa is an inclusive school. We follow the NEPS guidelines in our approach to supporting children with additional educational needs. The Special Educational Needs Team works closely with the class teachers in identifying, monitoring and supporting children with SEN. This may involve in-class support, withdrawal in a small group or individual attention (or a combination). All children are regularly screened through the administration of standardised and observational tests. Parental consultation and support is a vital aspect of our learning support programme. If you have any concerns in this area please talk with the class teacher. 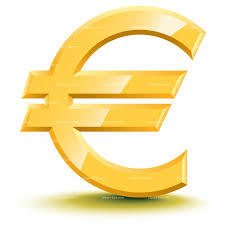 ​Scoil an Linbh Iosa has three Assisted Learning Classes for children with Autism. The children have access to a purpose built facility, with such resources as a sensory room, occupational therapy space and a kitchen. Interaction between mainstream classes and ALC is fostered. Start with a good breakfast. Come to the school on time. 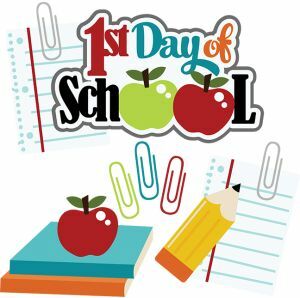 Junior Infants will start at 9.45am on the first day only. Give a hug, say goodbye and reassure your child that you will collect them at the proper time. Then leave! ​Almost all children are busy and happy within minutes of their parents leaving, even if there are initially some tears. 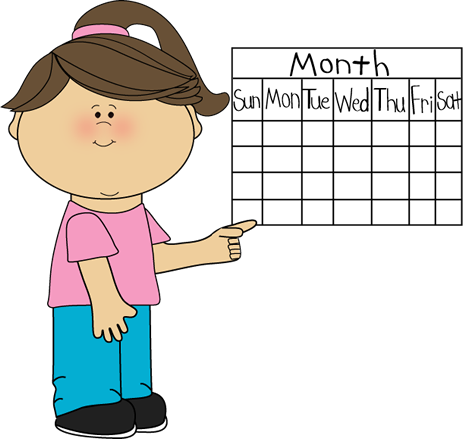 For the first two weeks Junior Infants will have a shorter school day (9.20 – 12 noon). They will only need a small healthy lunch. New Infants are usually very tired when they start school first, so please help them by making sure they go to bed early. 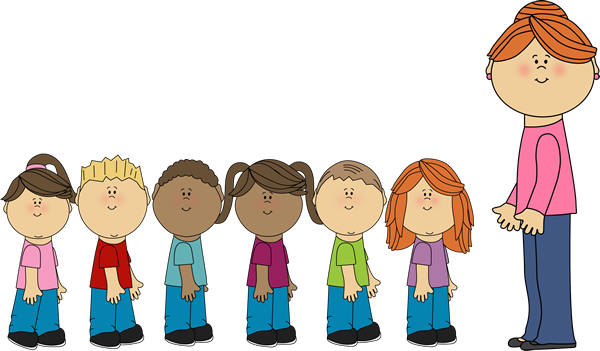 From the middle of September the Junior Infants will be in school for the full Infant day (9.20 – 2pm). Parents will be informed of exact dates when the school calendar is decided. ​Please ensure you are on time in the morning and in the afternoon. Your child’s ability to separate from you will be enhanced if they know you will be there on time. At home time the teacher will lead the children to the school door and they will be handed over to the relevant carer, one by one. Please wait until your child comes to the top of the line before coming forward to receive them. Inform the school in writing about who is to collect your child. 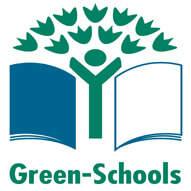 ​The school must also be informed in writing of any changes to the collection routine. To use and flush the toilet, wash and dry hands without help. 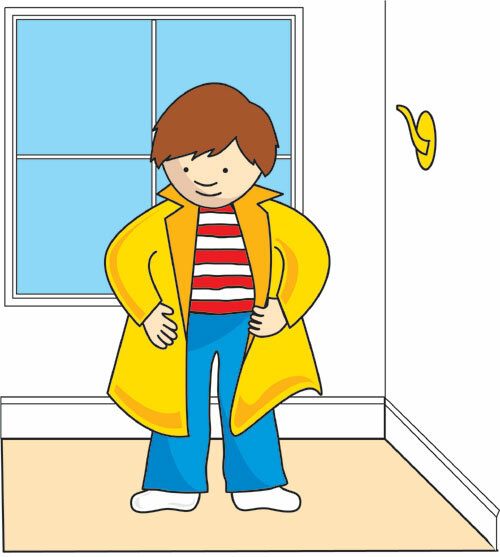 To put on and take off his/her coat and do and undo buttons and zips. To open and close schoolbags, lunch boxes and drink containers. It's advised that infants use a non-spill drink bottle. 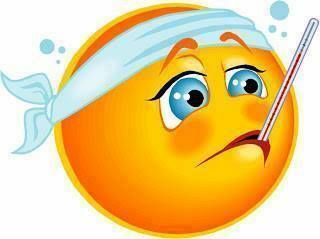 To use a tissue/handkerchief when needed. To recognise his/her own belongings. Give your child time, spend time together. Talk to your child and encourage him/her. Listen attentively to your child. Read and enjoy stories together. Talk about the story. Provide paper, crayons and paints for colouring and scribbling. Provide jigsaws, lego, play dough etc. Help him/her to cut out using safe scissors. Allow sand and water play. Praise his/her efforts at every opportunity. Encourage your child to mix with a variety of children in order to develop their social skills and to avoid over-reliance on any one person (adult or child). The school is in close contact with all of the local playschools in the Prosperous area. The Junior Infant teachers visit the playschools and invite the playschools to visit them in our school. This allows the children to begin to familiarise themselves with their new school environment. In 1999 a revised curriculum was introduced into Irish Primary Schools. The Primary School Curriculum consists of 6 curricular areas and these are further divided into 11 subjects. See ncca.ie for further details. The curriculum aims to ensure that all children are provided with learning opportunities that recognise and celebrate their uniqueness, develop their full potential and prepare them to meet the challenges of the 21st century. The focus is on the child as a learner. ​Scoil an Linbh Íosa is a Catholic School. We teach the Grow In Love and Alive-O programmes. A number of After School Activities take place in the school. These include Playball in the Junior classes, basketball, football, art and drama. Some activities are free, while others are offered at a small fee. This website is updated regularly with school news and updates, as well as class blogs (see menu above), which provide a great insight into the work your child's class is completing. The school also has it's own Twitter account, Facebook page and YouTube account. ​Occasionally notes with specific information are sent home. You may have to check the bag. Please update the admin office about any changes in contact details. It is very important that the school has a current contact number for every child in the school. 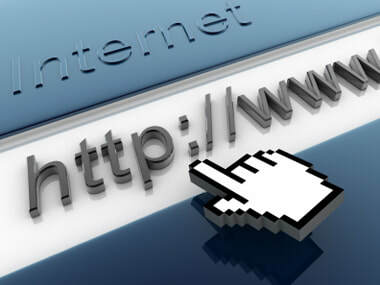 ​Emergency contact details are essential. The school adheres to the INTO complaints procedure. 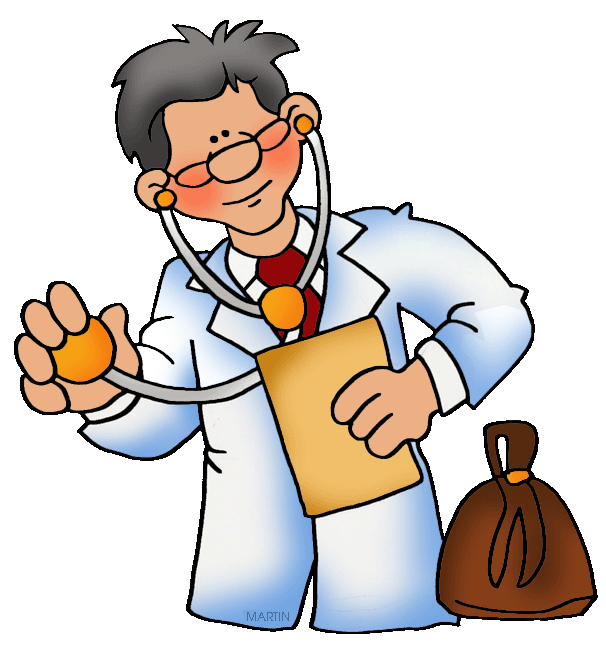 The procedure facilitates the resolution of difficulties, where they may arise, in an agreed and fair manner. It is set out in five stages, Stage 1 being where the parent approaches the class teacher with a view to resolving the complaint.